Make your next product launch a breakthrough success by putting customers at the heart of every decision from market assessment and concept testing to pricing and user research. 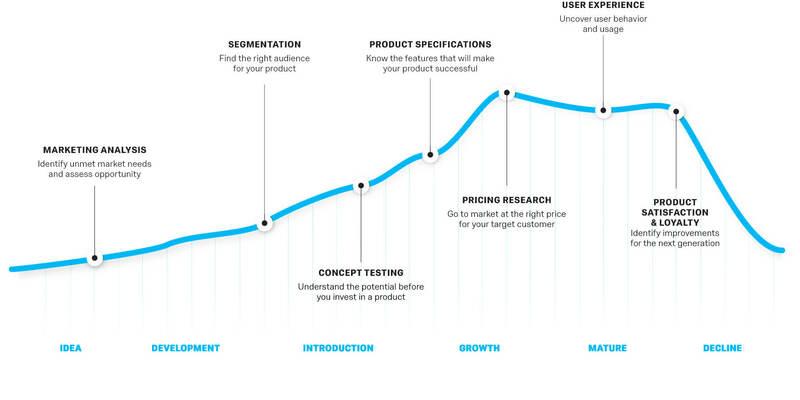 Identify features users want. Shorten product development cycles. Drive usage and loyalty. All on one easy-to-use platform. Take user feedback at every stage of the product lifecycle and build it into the product to drive revenue, usage and loyalty. 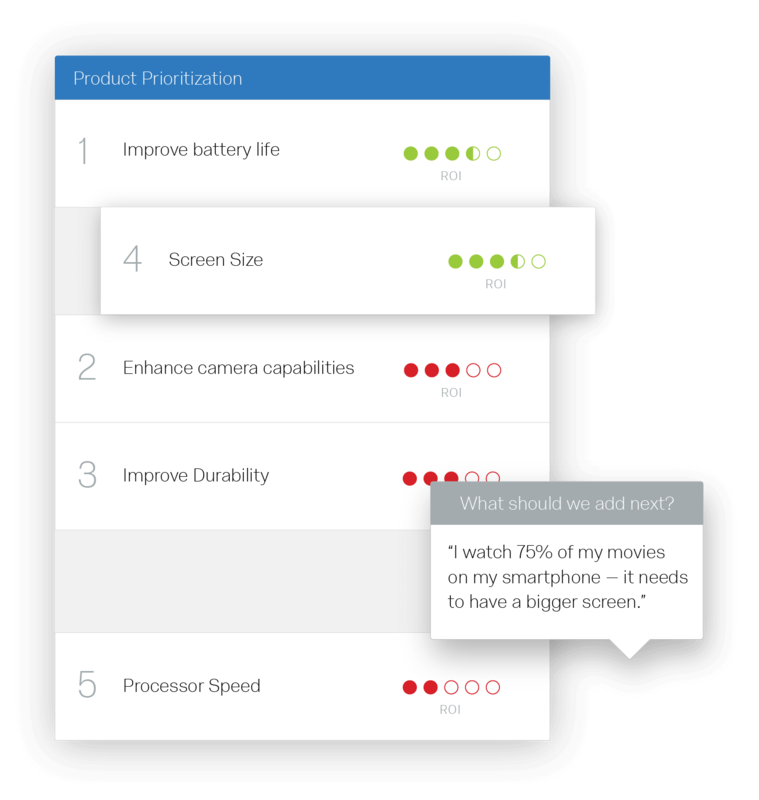 With iQ - our predictive intelligence engine - all your product feedback is automatically analyzed to identify the priority areas you need to focus on. Find patterns in your data and identify which product features drive willingness to pay, repeat purchase and many more. Stats iQ automatically chooses the right statistical test, relates dozens of variables and returns the results in plain language so you know where to focus your resources. Make sense of unstructured data by automatically surfacing trends, topics and sentiments from open text feedback in your user testing with Text iQ. No need to spend weeks pouring over verbatims - it’s all done for you in real-time as feedback pours in. Build the perfect product and pricing model with conjoint analysis that takes just minutes, not weeks. Simply choose your features and use the intuitive simulator to model real-world tradeoff decisions customers make every day. You can even compare against competitors’ offerings and test the impact of changes to your product or pricing on your most important customer segments and organisational KPIs. Shorten the development cycle by getting real-time feedback from stakeholders and users in the moment and share insights instantly and effortlessly across the organisation. With mobile, website, in-app, email, SMS and in-product feedback, you’ll hear it straight from users when it matters most - now. Build an army of product testers with your own database that helps you target the right user segments for feedback. Target the right user segments for your products, based on profile information, demographics and past experiences with your brand. 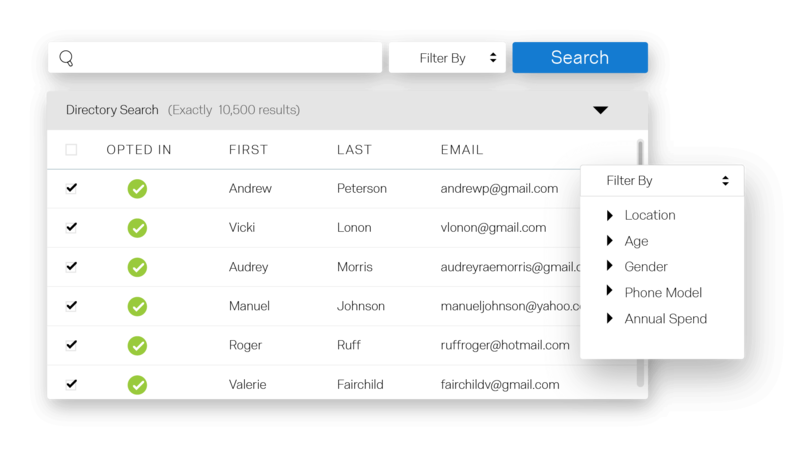 Keep your user panel engaged and happy by controlling contact frequency and managing global opt-outs. Manage incentives automatically and deliver them as panel members earn them. 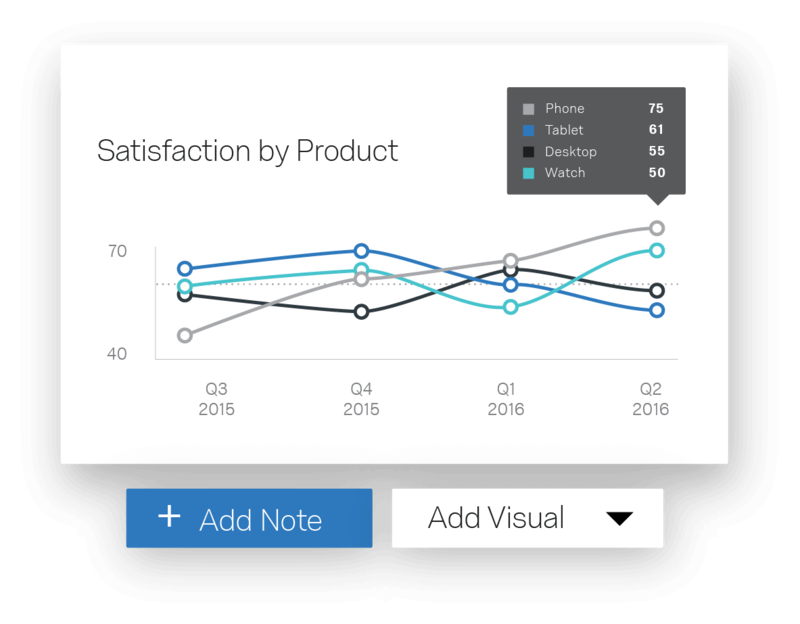 Can’t find the right audience or enough product testers? Our Services team will find them for you with access to over 40 million panel respondents. Wrong decisions can cost millions. Qualtrics helps us get it right. Qualtrics is the difference between success and failure. Developing products that people use, love and talk about is the culmination of product experience. That’s why companies have to nail their product development and lifecycle management—whether you’re building a product from scratch or improving an existing product, listening to customers can mean the difference between success and failure.